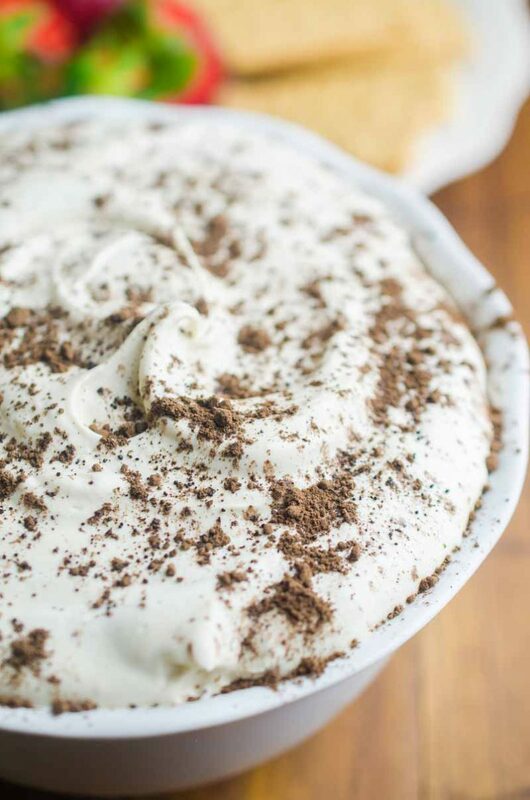 If you are looking for a quick and easy dessert, this Tiramisu Cheesecake Dip is it. 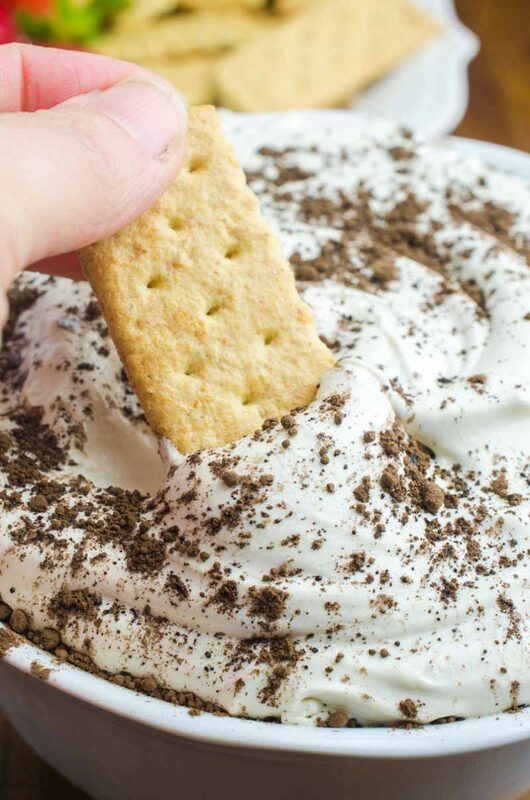 It’s a creamy, dreamy downright decadent dessert dip for graham crackers and fresh fruit. I have always loved Tiramisu, I mean who doesn’t. It’s so luscious and decadent. But Tiramisu will always have a special place in my heart for another reason. Tiramisu was our wedding cake flavor. We also ate our fair share on our honeymoon in Italy. So yeah, it’s safe to assume that Tiramisu is up there as one of my favorite desserts of all time. I love the coffee flavor. The creaminess. 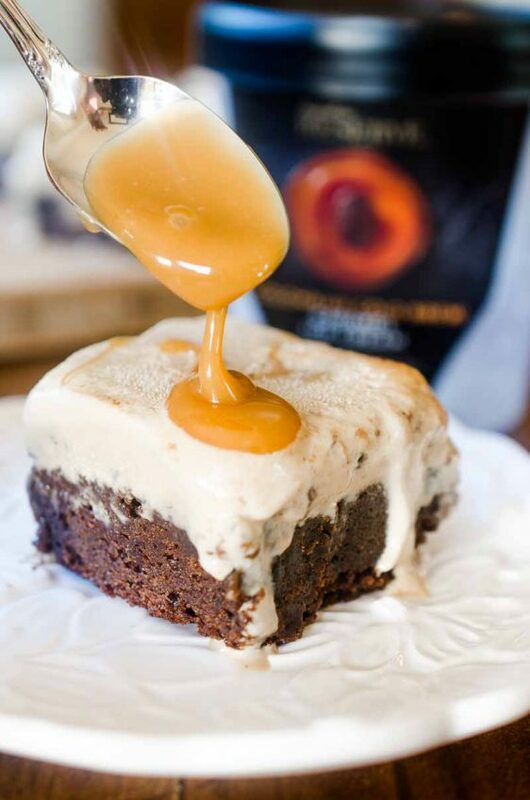 The melt in your mouth-iness. All of it. 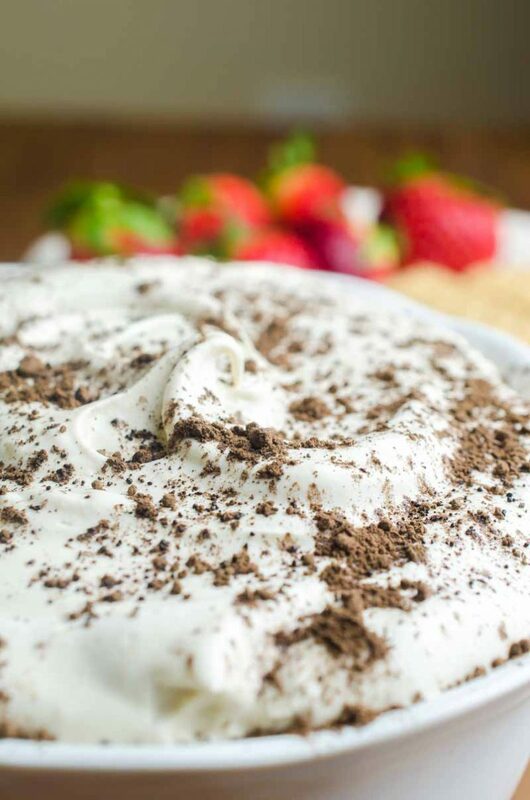 Tiramisu Cheesecake dip is all of that lusciousness in quick and easy dessert dip. I was first introduced to cheesecake dips a couple years back when Sam from Sugar Spun Run shared Lemon Cheesecake Dip as a contributor post. And guys, it was a whole new world. 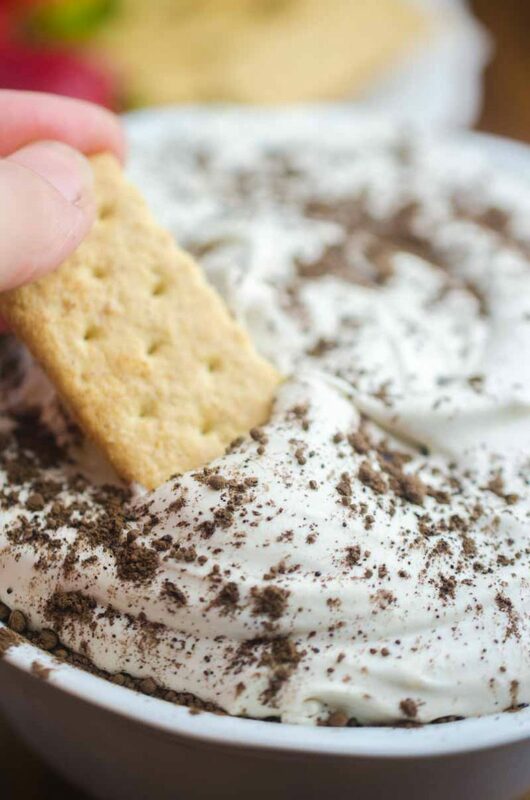 Cheesecake dips are heavenly. I love cheesecake as much as the next girl, but man oh man is it a lot of work. Worth it, yes. But a lot of work nonetheless. Cheesecake dip however, is easy peasy. 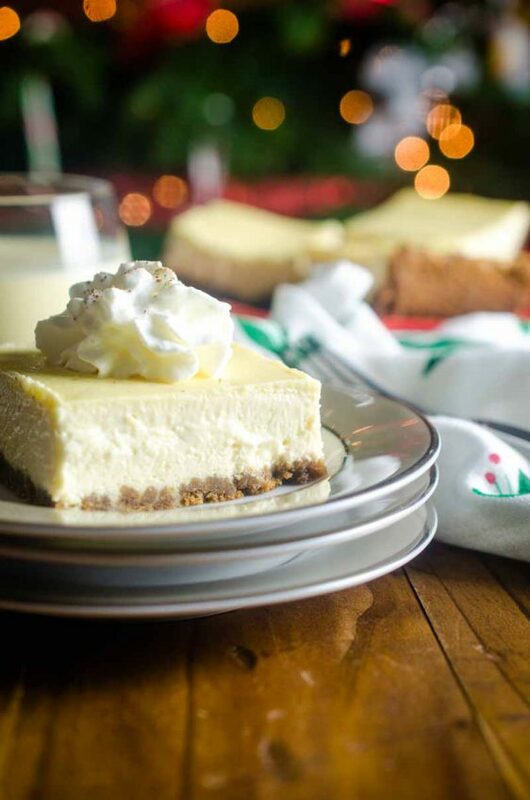 With a handful of ingredients you can be on your way to cheesecake dip bliss. And in this case Tiramisu Cheesecake Dip bliss. 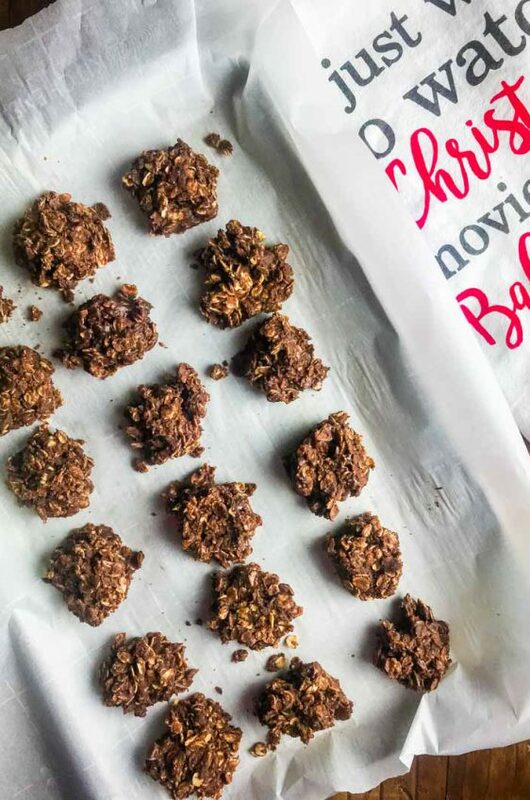 For this recipe, you’ll need mascarpone cheese. Mascarpone is the Italian style cream cheese used in traditional Tiramisu. If you cannot find mascarpone at your grocery store cream cheese can be substituted. 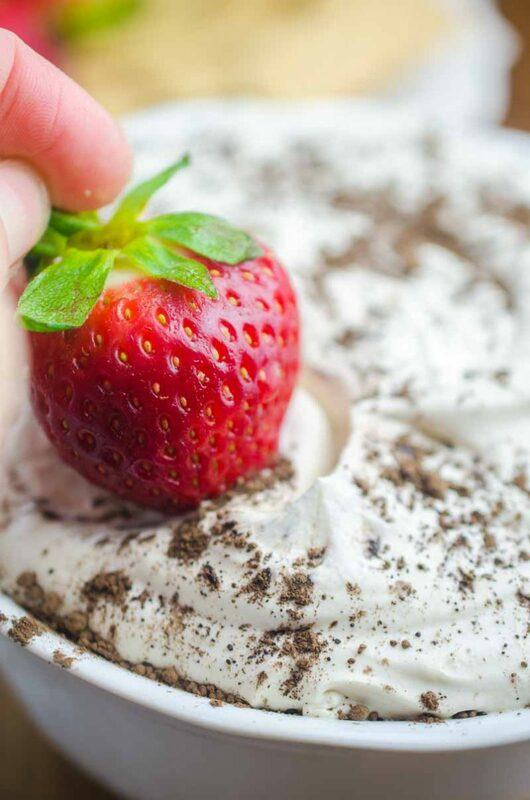 When it comes to dipping, graham crackers and fresh strawberries are a great option. 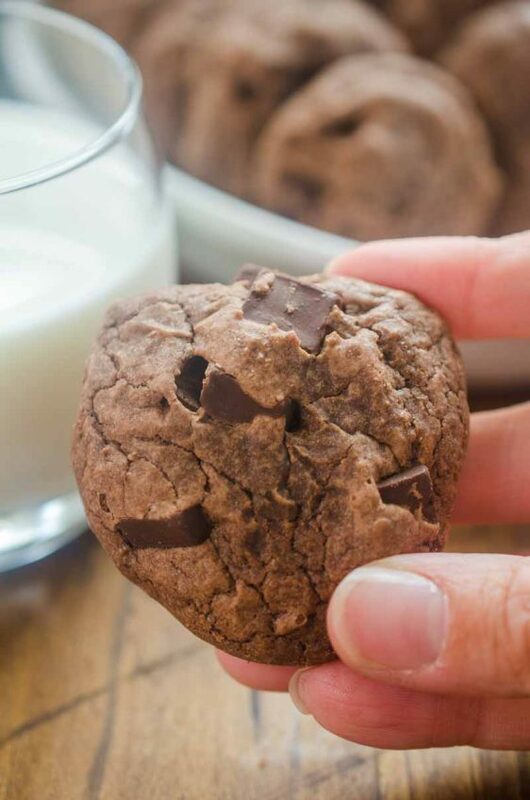 Or you could just use a spoon, no judging here. 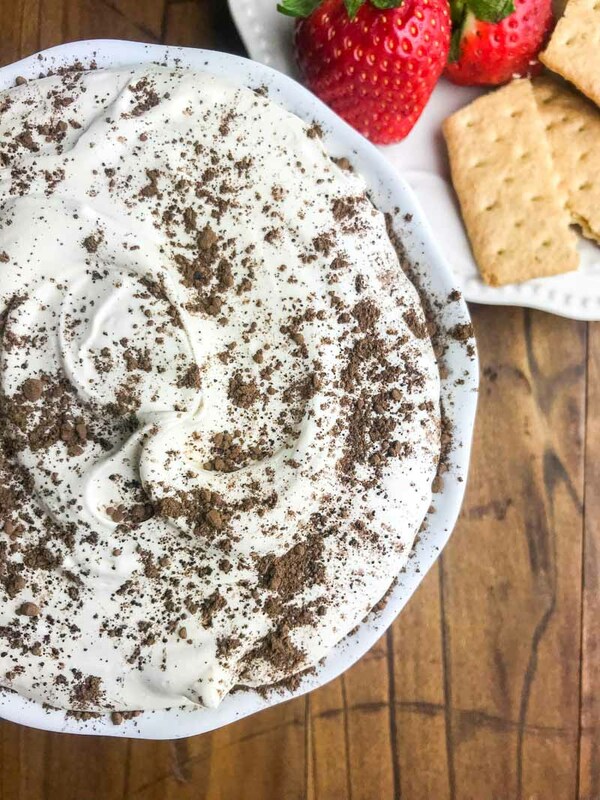 If you are looking for a quick dessert dip for a book club meeting, an Oscar party or a Netflix binge, this Tiramisu Cheesecake Dip is it. Beat together mascarpone and brown sugar until smooth. Fold in kahula and cool whip. 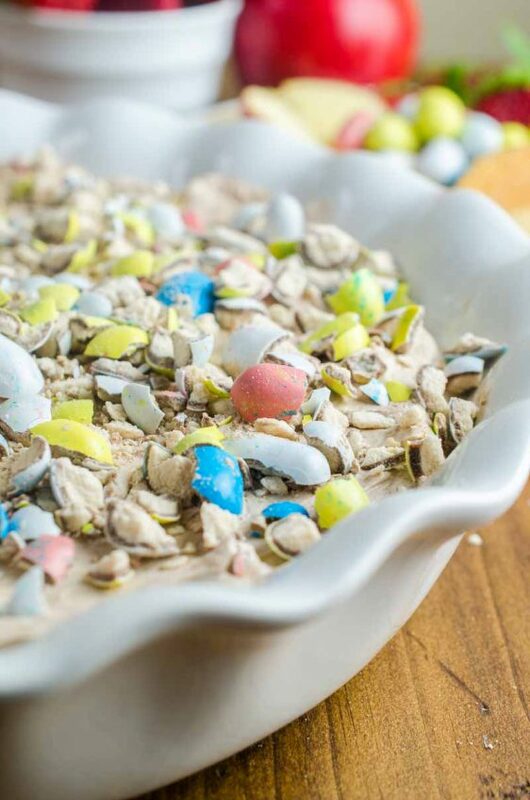 Sprinkle cocoa powder of the top and serve with graham crackers and fruit. Whoa! This looks super creamy and delicious! I love tiramisu, too, and cheesecake on top of it? YUM! Tiramisu is my favorite! I need to make this dip!!!! This dip. I can’t even find words for it. I am in love! Such an incredible dip! Can’t wait to give it a try! Oh my gosh! YES! That looks ABSOLUTELY DELICIOUS! 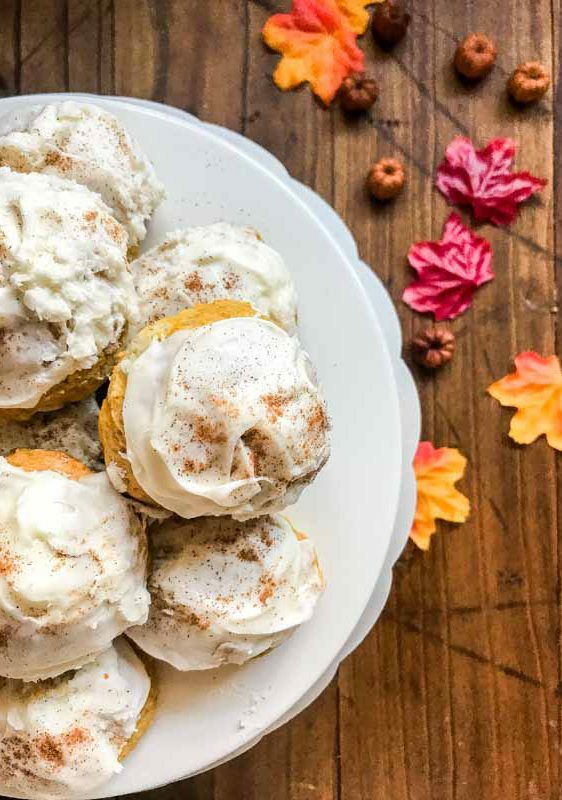 This looks so good and bonus that it’s easy to make! Can’t wait to try it.